Home > Transportation Reference and Training Manuals > > Figure 3-4. Transportation Priorities. 9- The Transportation Control Number is taken from Block 40 of the TCMD. Remember, this control number must always have 17 digits. Column 10- The Consignee code is taken from Blocks 11 or 41 of the TCMD. 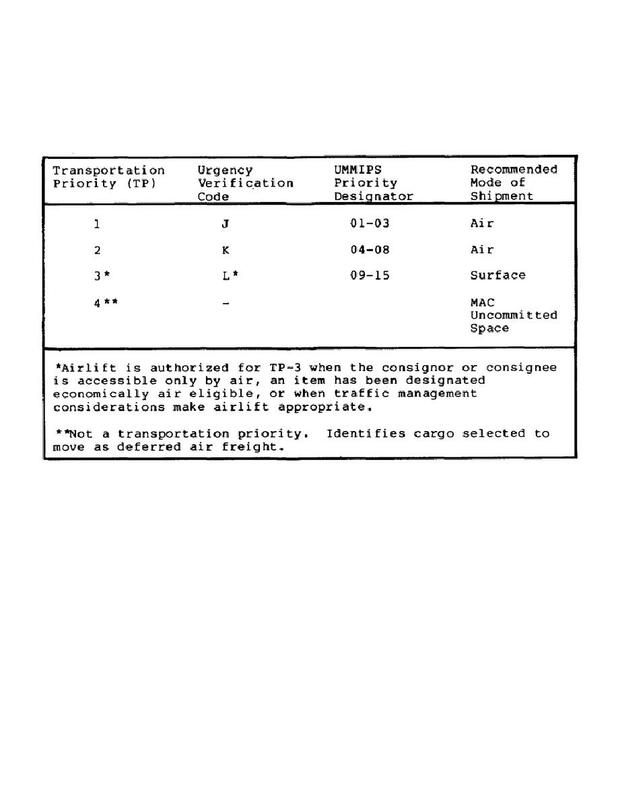 for the shipment should be entered in this column (see Figure 3-4). This number is taken from Blocks 12 or 42 of the TCMD. on the type of shipment and on the DIC in column 1.
in Blocks 13 and 14 of the TCMD.